This is a roulette computer device that is supposed to predict where the ball will land. The seller has created many different versions. I have two of them, which includes the Psion 3a and mobile phone version. I purchased the Psion version myself, and was sent the mobile phone version for free by another player. Also see the downloadable document created by other purchasers that also consider it a scam. Ultimately I found both devices to be nowhere near as sophisticated or accurate as the seller claimed. While it is not uncommon for a business-owner to advertise their product in the best possible light, this seller takes things to extremes. His blatantly false claims are why I’m calling this device a scam. Mark has also impersonated government staff and appears to have no limit to how far he’s prepared to go to sell his product. I can’t possibly list everything he has done. Mark’s latest computers is the Evo. It is very similar to a “thumper device”, which is a very basic device with comparable accuracy to the free visual ballistics system I release at www.roulettephysics.com. 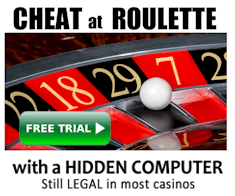 This is because it uses the typical roulette computer algorithm explained at https://www.roulette-computers.com/the-math/. But to be fair, I don’t have his latest computers and perhaps he improved his technology. Although from his latest demonstration videos for his new computers, it is very easy to reverse-engineer the algorithms his computers use, and they are identical to the basic algorithms explained at https://www.roulette-computers.com/the-math/. This means it still will not beat modern wheels in reasonable condition. 1. The light pulses are all at the same timing interval. So it is clearly nothing but a simplistic thumper. Check for yourself. If the computer did what he claimed, the intervals would be different because the ball decelerates. 2. The light pulses occur when the ball is over different numbers. If the device did what he claimed, the pulses would be over the same numbers. This is not a matter of opinion, and you can check the video yourself. It proves the accuracy he was demonstrated was due to mere luck. There’s also no way of knowing how many different video recordings he made before creating one with positive results. Regardless, I believe Mark’s latest computers are more created out of necessity for him, because his other computers are now being given for free by his upset purchasers. I’ve been contacted by many people who purchased Mark’s computers and believed them to be a scam. While it is possible these purchasers simply didn’t understand the product, I don’t believe this is the case because I’ve tested two of Mark’s computers myself and know his claims are false. Furthermore, many of Mark’s other purchasers (including experienced players) also tested and found terrible results. One of them even sent me Mark’s mobile phone version for free. 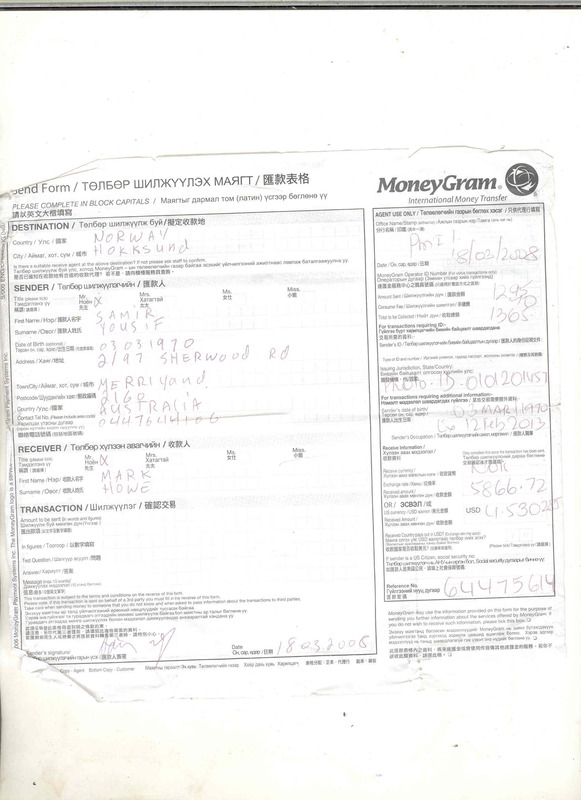 Click here to see a copy of the funds transfer from Sam Yousif. This is a very basic device that uses the typical roulette computer algorithms. If you are familiar with visual ballistics, then one way of saying it is it does exactly what visual ballistics does. That is you take timings of the rotor and ball, and the computer approximates the winning number. Then you test about 60 or so spins to determine how far the ball is actually landing from the original (un-tuned) predictions. You then adjust the distance by however many pockets is needed. There is nothing more to this device and for it to work, you need a very predictable wheel that you wont find in modern casinos. It has a “level” wheel setting, but it is very poor and gives random predictions. This is clear because if you attempt to repeatedly predict the same spin on DVD, each time you will get very different predictions. So the computer cannot even accurately process timings. Mark claims that my test results of his computer were poor because he deliberately sent me a defective device, apparently because he believed I may be a dubious character. However, every other player who tested the device he sent them has found the same results. 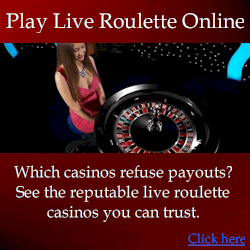 I suggest check the roulette computer testing page on my site for advice on how to test computers. This device is terrible appears to do nothing that it should. I assume he failed to test it properly before selling it. Even the audio predictions can barely be heard, because part of the audio file is truncated. For example, if the prediction is 36, you may hear only “thirty-s….”. In the instructions, Mark claims this is a result of a flat battery. In fact it is because the phone’s firmware doesn’t correctly play the audio file, which I know very well because I also develop roulette computers on mobile phones. The predictions themselves appear to have random accuracy, which can be confirmed with basic testing. I believe this version is rushed and he failed to test it properly. I’ve seen from his Psion model that he understands the basic principles of roulette computer prediction, but I believe he creates his devices purely to be sold for his benefit, without adequate focus on benefiting his purchasers who attempt to profit in casinos. Basically Mark’s claims of 100% positive feedback are false. Nevertheless I believe it’s great he offers purchase via Ebay, because then you can at least get a refund if you pursue matters. But unfortunately in my experience, his roulette computers are very poor and you will not profit from them. I acknowledge that he may have improved his technology by now, and you can review all the information and decide for yourself. If you purchase Mark’s computer, expect you will find it is only effective on wheels on DVDs he provides. And when you don’t profit in real casinos, expect he will tell you that you aren’t using the computer correctly. In almost every complaint I receive about him, this is the result. I assume he relies on convincing purchasers that his device’s accuracy can be verified on his video recorded spins of easily beaten wheels, and that failure to profit in real casinos is through no fault of his own. But simple testing can reveal whether or not Mark’s computers do what he claims. One particular user confronted Mark with his test results, and Mark responded by claiming the problem was a particular file on the phone that had to be deleted. The file was in fact the entire roulette computer software and if it was deleted, the user would be left with nothing but a phone. I suspect that Mark was concerned the purchaser would release the software since he discovered that Mark had been dishonest, and the device didn’t perform as advertised. There have been such cases and while I have permission to publish details such as email transcripts, I believe there’s already enough information for you to make up your own mind. VERDICT: Essentially I found Mark’s computers to be very poor and nowhere near what he claims. I’ve been contacted by other people who found the same, and you can contact many of them on roulette forums. I acknowledge that Mark “could” have improved his technology by now, but this does not appear to be the case based on the latest complaints I receive about him. Additionally, from his videos it is clear that his latest computers still only apply a very simplistic algorithm, identical to visual ballistics. While this is the case, his computers are likely to only beat his wheel on your DVD player. In consideration of Mark’s clear history of manipulation, I cannot say he isn’t running a scam. If you have been influenced by Mark’s false claims, and also find his computer does not perform as he states, I suggest report him to the police. See the simple testing page so you can determine whether or not his device performs as he claims. 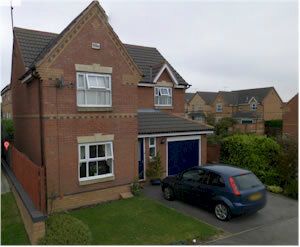 NOTE: Mark’s manipulation is extensive and relentless, so see more details about Mark Howe here.